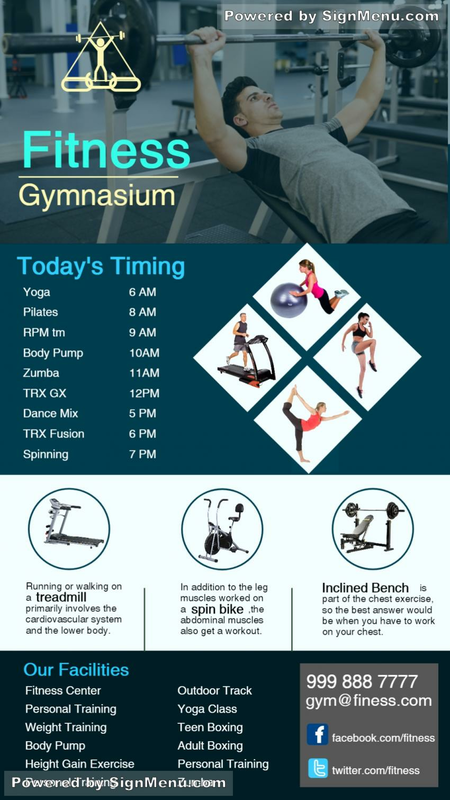 This template of a gymnasium is best displayed on a digital screen and placed atop the gym premises or at the entrance to attract the target audience. Gyms worldwide have thrived on the word-of-mouth publicity of satisfied clients. Digital signage advertising has taken this several notches higher. The compelling visuals coupled with effective promotions on it's training modules would certainly increase the business of the gym and give it a branding status. This template is ready for download and use.